Beautifully crafted brushed stainless steel design with pouring filter. Contemporary design. 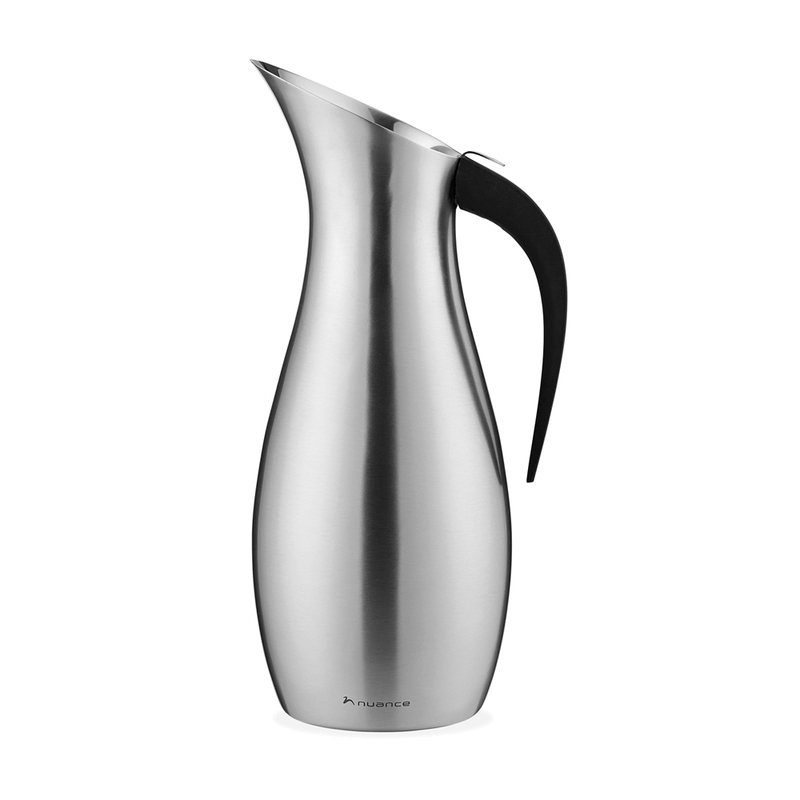 This beautifully crafted piece is made of brushed stainless steel with a black nylon handle. Large capacity - 54 oz / 1.7 L. Removable strainer retains ice cubes and/or slices of lemon when pouring.